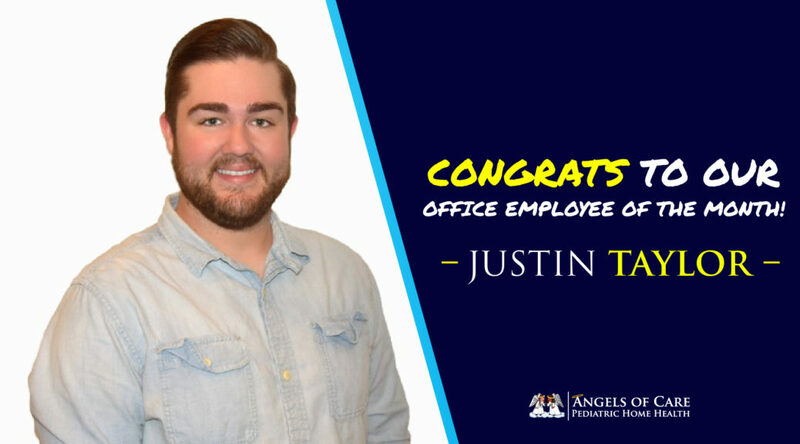 Congratulations to our March office employee of the month, Justin Taylor!! Some of our families may recognize him as our staffing specialist for the Austin area. From the moment Justin joined Angels of Care, it immediately felt like he had always been a part of the team. He never hesitates to step in and offer help when his team needs it. He is deeply passionate about his patients and strives to do the best job possible in finding nurses and keeping his families updated. Justin’s hard work doesn’t stop at 5pm either, he is also the voice of our emergency after hours phone many days throughout the month. His coworkers would describe him as funny, hardworking, and a breath of fresh air. We are so fortunate to have Justin in the Angels of Care family!